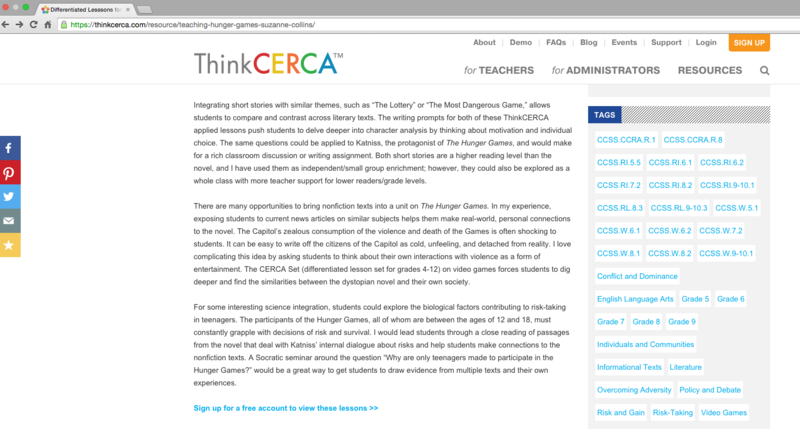 We're often asked by our community of educators for fast and easy ways to use ThinkCERCA as a core supplement to existing curriculum. 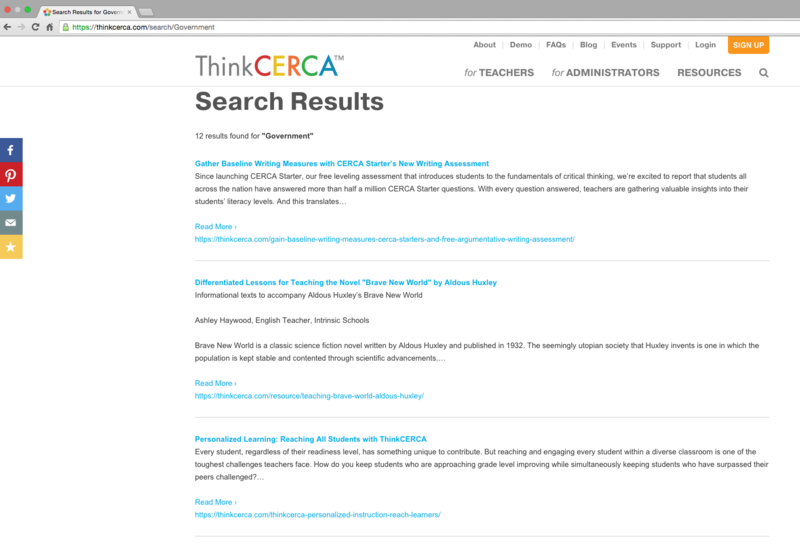 Because saving teachers valuable prep time is one of our top priorities, we put together our best tips for quickly finding the lessons and resources you need to integrate ThinkCERCA into your classroom. Enter your criteria, and presto! The results will list out applicable curriculum integration guides that fellow teachers and our Success Team have created. Find something you like but want more? Use the tags within a particular curriculum integration guide to dig deeper. Every guide comes equipped with searchable tags by Common Core Standard, grade, and themes. Still can't find what you need? 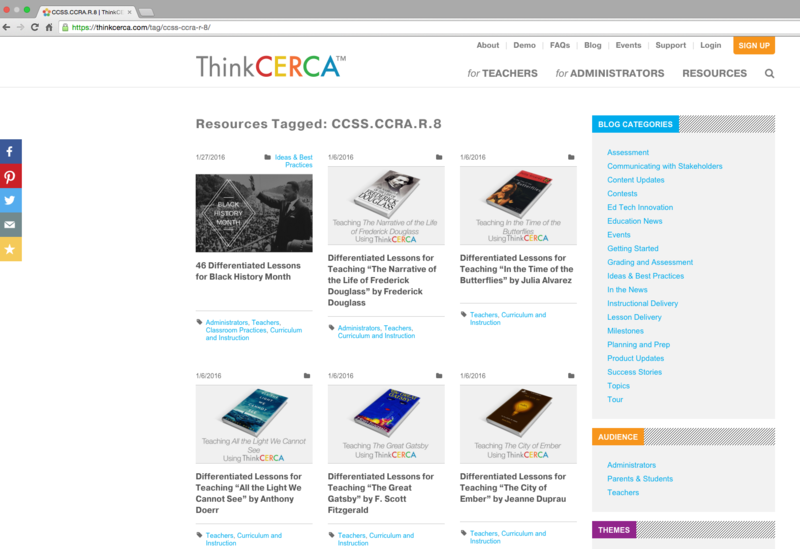 As always, feel free to contact support@thinkcerca.com with any requests. Want to see another how-to guide? Interested in more quick tips? Don't be shy! Leave us your ultimate "wish list" in the comments section below.